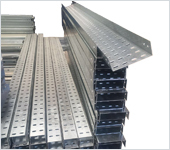 We are Bangalore based well-known manufacturers, supplier, and exporter of outstanding variety of cable trays, raceways draw boxes & industrial fabrications. 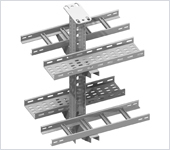 The company has expertise in manufacturing products like perforated cable trays, ladder type cable trays, wireways/raceways, basket trays, junction boxes, fire boxes, raceways draw boxes & industrial fabrications, and their accessories such as bends, elbows, tees, cross, reducers, and many more. Classic Engineering Solutions is located at Peenya Industrial Area in Bangalore which is known as India’s largest industrial area. Classic Perforated cable trays are used for instrumentation, Control as well as Power Cables. Perforated Cable Trays provides excellent ventilation, it enhances life of cables and it can be fixed to any structure…. 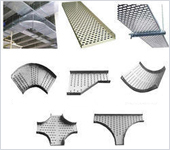 We are well-known Manufacturer, Supplier, and Exporter of outstanding variety of Cable Trays Accessories (Perforated Cable Trays Accessories, Ladder type Cable Trays Accessories ) in Bangalore, India…. 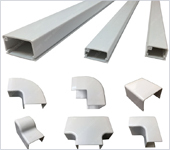 We are well-known Manufacturer, Supplier, and Exporter of outstanding variety of Cable Tray Supports in Bangalore, India…. Raceways are an affordable way to run networking and power cables throughout IT Companies, Commercial and Industrial environments. We are well-known Manufacturer, Supplier, and Exporter of outstanding variety of Raceways …. Our technocrats are highly qualified and have expertise in fabricating basket trays which are supplied to several industries. 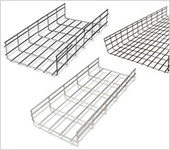 We procure finest quality raw materials from reputed suppliers for manufacturing our range of basket trays…. Since our inception, we have been successfully fulfilling the demands of industry by manufacturing and supplying outstanding junction boxes. 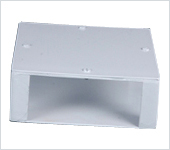 We offer electrical junction boxes which match with international quality standards…. We, at Classic Engineering Solutions encompass a state-of-art infrastructure which includes modern manufacturing unit, quality control unit, warehouse, and packing unit with all other accessories to achieve maximum quality and prompt delivery. Our location at Peenya is an ideal place that is connected by all means to various parts of the country..
Our company has gained a huge reputation in market for its matchless wireways/raceways, basket tray, and industry fabrications which are available in many designs and specification as per customers’ demands. The company has recruited a team of qualified and experienced technocrats who have acquired expertise in this art. In order to offer quality at best prices, we have maintained a well-equipped infrastructure enabling our manpower to fabricate products in bulk..
Bengaluru, Karnataka - 560058 (India). E - Mail : sales@cabletrays.co.in.